If you are planning a fundraiser or special event in Ohio or the surrounding states, you'll want to make sure Superior Portables is on the guest list! We provide a great selection of selection of high quality potable toilets & restroom trailers for outdoor events where standard restroom facilities aren't readily available. Whether you are hosting an intimate casual event or a large upscale fundraiser with hundreds of charitable guests, providing ample access to clean and well-maintained facilities will allow the focus to remain solely on your event or cause. Outdoor parties, birthdays, fundraisers, corporate entertainment, graduations, reunions—whatever kind of event you are planning, Superior has the portables you need to accommodate any number of guests. Guests appreciate our well-kept portables and the many amenities they provide. 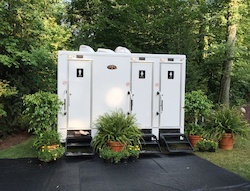 All of our standard and handicap portable toilets come equipped with hand sanitizer, while our restroom trailers—which are ideal for formal events — come with everything from heating and air conditioning to wood grain floors. 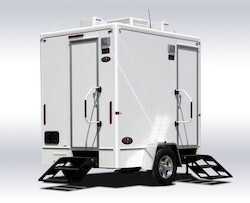 The Diamond Series two station cottage style restroom trailer has a small footprint and is perfect for parties with up to 225 guests while the Freedom Series 11 station mobile restroom can handle the traffic of 800 guests. For your next event, choose Superior for all of your portable toilet needs. 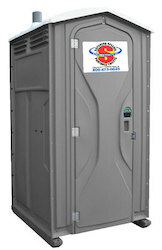 We will provide you with quality portable restrooms, prompt delivery and friendly service. To place an order, or to learn more about our products, please contact us!